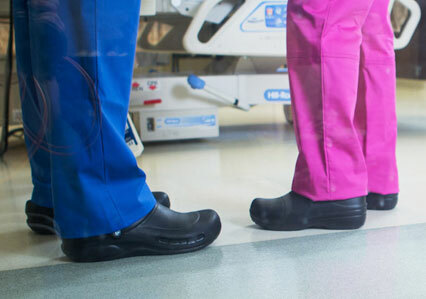 Designed for people in healthcare, hospitality and other on-your-feet service industries, the Crocs At Work Collection is about more than safety and functionality. 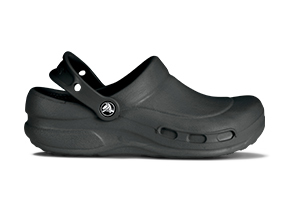 They feature the world-class comfort of Crocs, slip-resistant treads, elegantly simple design and the smart features your job demands. Do your shoes live up to your career specialty? 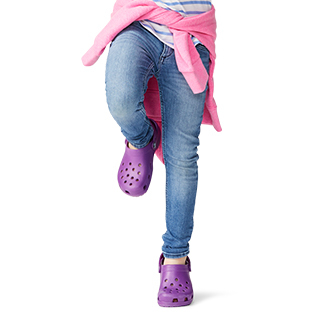 Crocs Specialist Clogs include thicker construction at the toes and metatarsal areas, increased arch support, higher heels and nubbed Croslite™ foam footbeds for a massage-like experience with every step. 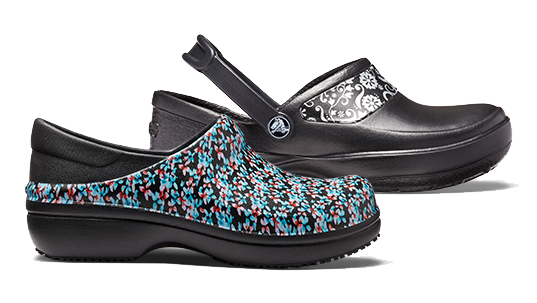 Brighten your shift every step of the day with lightweight Neria Pro Graphic clogs featuring inspired graphics. 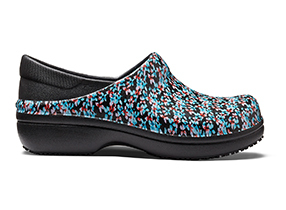 Designed with a relaxed fit—a little movement in the heel is normal—means a dose of freedom without sacrificing the security of a closed-toe shoe. 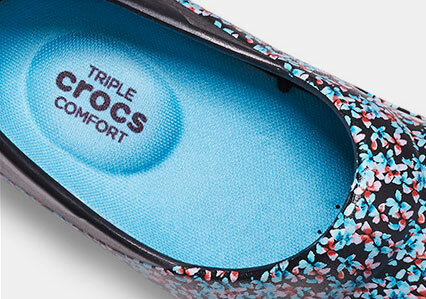 Plus, Triple Crocs Comfort™: contoured molded footbeds with moisture wicking liners to get you through the rounds. 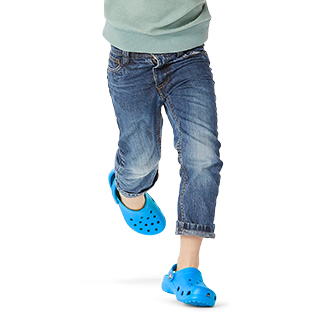 Our Crocs Lock™slip-resistant treads add traction for those times when the workplace floors become slippery. 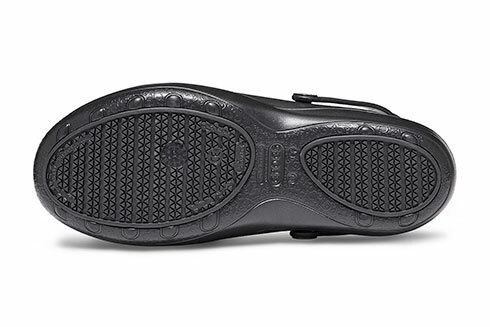 Croslite™ foam construction results in easy to clean shoes that rinse and dry quickly. Some styles are also ASTM F2913 tested, CE Ceritfied, and meet or exceed EN ISO 20347:2012, OB, SRC. 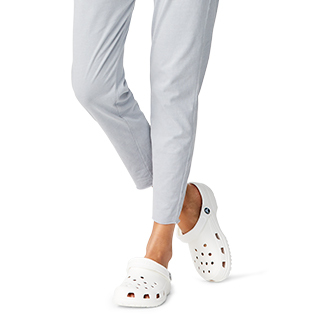 The Crocs At Work Collection is proof that work shoes don’t have to be boring or leave you feeling flat-footed and fatigued. 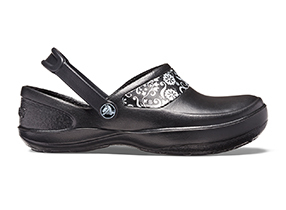 With a combination of comfort, style and safety features, they take care of your feet so you can take care of your patients and make the rounds with energy to spare. These reviews speak for themselves. 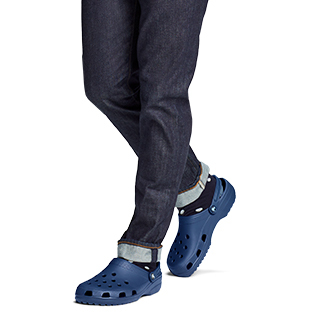 "These are my favorite work shoes! They are so comfortable and that helps for a 8 hour shift!" "Love them. Look and feel great. Wear them to work (as a nurse) and to play. Biking/walking in the rain. Very comfortable." "I have every color of the "specialist". So comfy for work. No slipping. They are awesome."